I want more out of basketball. I want a life beyond that. I'm not saying that life is with Iris, but I am saying I've never felt with anyone else what I feel with her, and I have to chase that as hard as I chased basketball. What I felt today, what I've felt every time I've been with her, it's real and it's special. It's worth chasing. If I don't try, I'll always wonder. What if the thing that seems like an impossible dream is within my grasp? 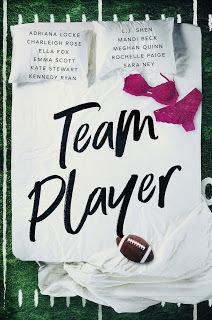 When I read Kennedy Ryan's contribution to the multi-authored sports romance anthology, Team Player, last year, all it took was fourteen chapters to showcase how special Full Court Press was. 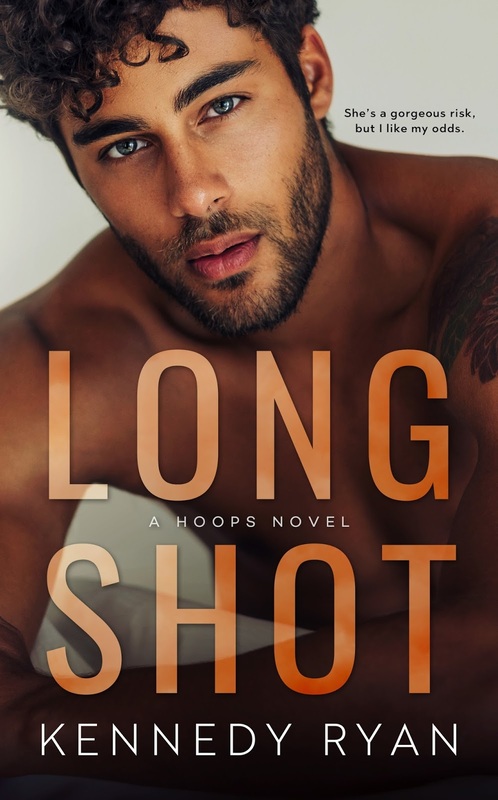 It was also a prequel of sorts to the author's brand-new basketball romance series, Hoops, mentioning August West and Caleb Bradley, the main male protagonist and antagonist in the first novel, Long Shot, respectively. But if I knew while reading that story in the anthology that I was going to be in for a love story unlike any other that I've read so far this year, then I would have prepared my cynical heart for the battering it was going to go through reading Ryan's new series starter. But then I should have known better, because if it's one thing that I took away after my introduction to Ryan's writing via her Grip series, it's that she's got a gift for creating the kind of love story that can withstand trendy tropes and topics. In short, she knows how to write a romance for the modern ages. If you've never read her books, you're missing out on one hell of a reading experience. But I digress! Let's get back to why my heart was eviscerated by Long Shot. August West is, hands down, the college senior slash basketball star to watch. He's got the raw, natural talent for the game, but he's also a player that's willing to learn in order to be better than he already is. But there's a saying in my country that goes "Bilog ang bola," translated into English as "The ball is round," and just like life, sometimes, you're on top, and other times, you're on the bottom. He may have helped his school win a championship but his dreams of going to his hometown's professional league team when, as the first pick in the draft, he goes to an expansion team. Now, anyone who's familiar with pro sports knows that new expansion teams tend to still be in the building stages, meaning they're looking for that core group of players that they can build the rest of the team upon. The clincher is that his main rival, one Caleb Bradley, not only goes to his hometown team but happens to be the boyfriend of the girl that August met in a bar--a basketball-loving girl hoping to get into sports marketing named Iris DuPree. That one meeting impacts both August and Iris but treacherous obstructions stand in their way. Purchase Long Shot on Amazon.